Danvers is a town of approximately 25,000 people, located 16 miles north of Boston and is bordered by Salem, Beverly, Wenham, Topsfield, Peabody and Middleton. 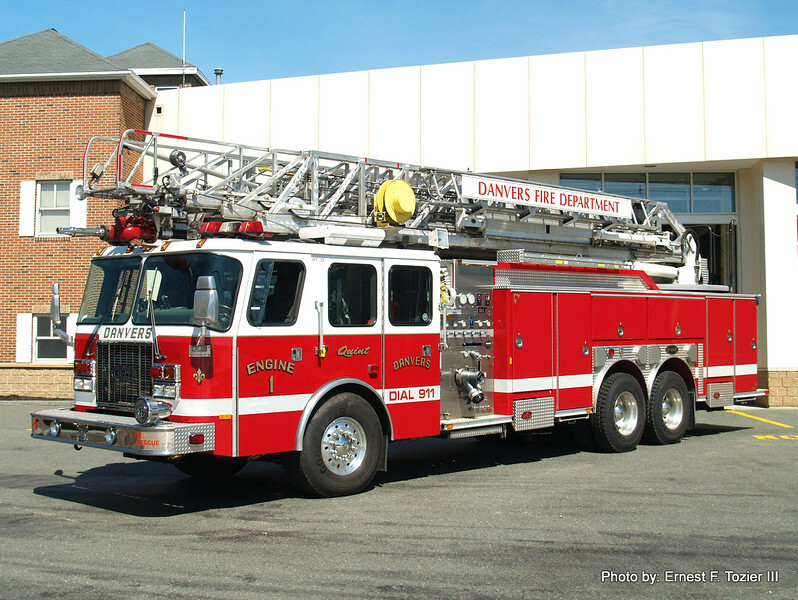 The Danvers Fire Department operates 3 engines, 2 of which are quints, and 1 light rescue, along with 2 reserve engines and a brush truck. Headquarters also houses a state Hazmat truck and the District 5 foam trailer. All of this apparatus runs out of 2 Stations. Lyons Ambulance provides BLS and ALS transport service to the town. E-1, E-3, R-1, S-1, reserve E-4, District 5 Foam Trailer and Mass. Fire Services TSU 71 are located at Headquarters at 64 High Street. E-2 and Reserve E-5 run out of Station 2 on Hawthorne Street.